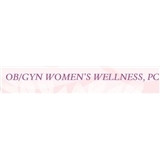 OBGYN Women's Wellness PC (Clifton) - Book Appointment Online! Our goal is to provide medical care for women and use the most advanced medical and/or surgical treatments available. We treat patients as unique individuals with specific needs. The best medical care can only be provided in a setting where the physician knows her patients. Dr. Farhana H. Khan is one of the few female, multilingual Obstetricians that can personalize care for her patients. We provide a full range of Obstetrical services such as routine and high risk pregnancies. Gynecological care includes annual exams, papsmears, spectrum of women’s health services; including routine and problem annual visits, problems with irregular periods, breast exams, std testing, birth control, prenatal care, minimal invasive surgery, major surgery, permanent sterilization, bone health and menopausal health.